This trek allows you to enjoy magnificent views as you walk along pre-Hispanic trails and then explore the spectacular crater of Maragua. On day one, we leave the office and travel with the locals firstly in a micro to the outskirts of Sucre and then in a camion to Chataquila, which sits atop the Cordillera de los Frailes. We visit a lovely stone chapel dedicated to the Virgin and take in the view back towards Sucre. 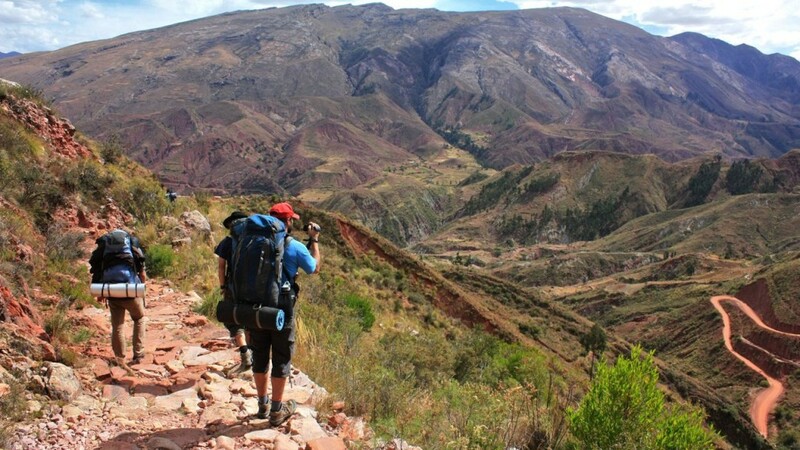 We then begin trekking just after����midday down the famous pre-Hispanic route known as The Inca Trail. We eat lunch at a mirador with views above the unique, naturally formed crater of Maragua. After lunch, we continue down to the bottom of the trail and then follow the River Ravelo past magnificent rock formations to Socobamba and the suspension bridge. After crossing the river, we head up past waterfalls and spectacular rock strata. At the top, we look back at the western face of the Cordillera and then on to the amazing Crater of Maragua, one of the most impressive and beautiful landscapes in all of Bolivia. Here, we have the option of camping or staying in houses of the local community. We arise at dawn and eat breakfast before heading off southwards passing through tranquil and very photogenic villages. We then rise up out of the crater and gain beautiful views back over the entire crater. From the top of the crater, we then head down through a picturesque valley, past waterfalls and farmhouses to Quilla Quilla where the famous indigenous rebel leader Tomas Katari was executed.�� From here we catch a bus or camion back over the Cordillera de Los Frailes and past Cerro Obispo to Sucre.